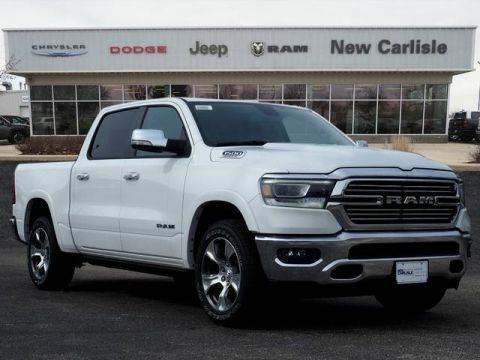 When you’re ready to get behind the wheel of a new Chrysler, Jeep, Dodge, or Ram, stop by our showroom in New Carlisle. 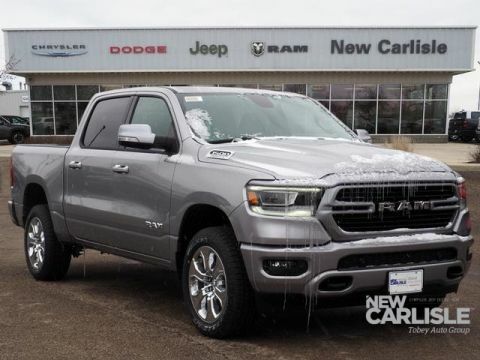 You can find the full range of models below, from the Jeep Cherokee to the Ram 1500 to the Chrysler Pacifica, there’s something for nearly any Dayton or Springfield driver at New Carlisle Chrysler Jeep Dodge Ram. 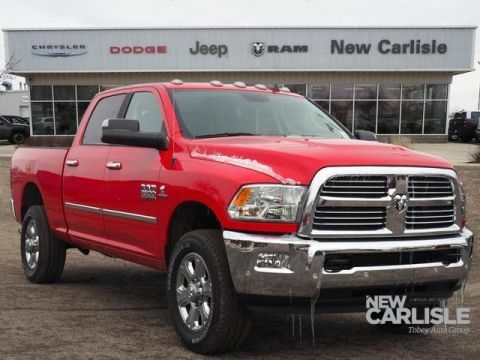 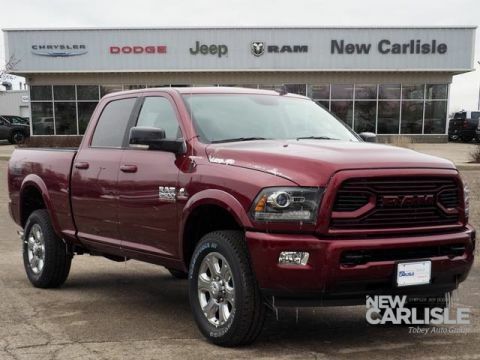 2018 Ram 2500 Laramie 2500 Laramie, 4D Crew Cab, Cummins 6.7L I6 Turbodiesel, 6-Speed Automatic, 4WD, Red, Black Leather, #1 Seat Foam Cushion, 40/20/40 Split Bench Seat, Auto High Beam Headlamp Control, Bi-Function Black Projector Headlamp, Black Painted Exterior Mirrors, Black Power Fold-Away Mirrors, Black Premium Tail Lamp, Body Color Door Handles, Body-Color Grille w/RAM, Convenience Group, Convenience Group w/32C Discount, Folding Flat Load Floor Storage, Front Armrest w/Cupholders, Front Center Seat Cushion Storage, Front Performance Tuned Shock Absorbers, High Back Seats, Highline Door Trim Panel, Hill Descent Control, Instrument Panel Premium Bezel, Leather Trim Sport Front Bench Seat, Off Road Package, Off Road Package w/32C Discount, Offroad Decal, Painted Front Bumper, Painted Rear Bumper, Power Lumbar Adjust, Quick Order Package 2FH Laramie, Rain Sensitive Windshield Wipers, Rear 60/40 Split Folding Seat, Rear Performance Tuned Shock Absorbers, Sport Appearance Group, Storage Tray, Tow Hooks, Ventilated Front Seats. 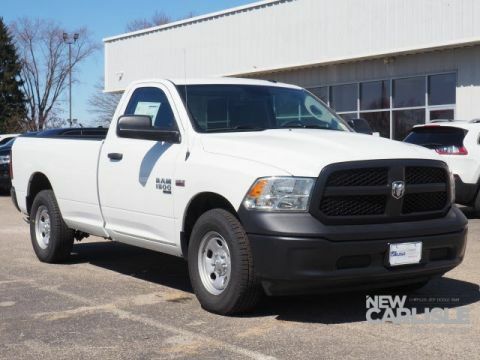 2018 Ram 3500 Big Horn 3500 Big Horn, 4D Crew Cab, Cummins 6.7L I6 Turbodiesel, Aisin 6-Speed Automatic, 4WD, Flame Red Clearcoat, Diesel Gray/Black Cloth, 115V Auxiliary Power Outlet, 1-Year SiriusXM Guardian Trial, 1-Year SiriusXM Radio Service, 40/20/40 Split Bench Seat, 8.4 Touchscreen Display, Air Conditioning ATC w/Dual Zone Control, Apple CarPlay, Big Horn Badge, Big Horn Regional Package, Bright/Bright Billets Grille, Cold Weather Group, Engine Block Heater, Folding Flat Load Floor Storage, For Details Visit DriveUconnect.com, For More Info, Call 800-643-2112, Front Center Seat Cushion Storage, Front Fog Lamps, Google Android Auto, GPS Antenna Input, HD Radio, Heavy Duty Snow Plow Prep Group, Integrated Voice Command w/Bluetooth, Leather Wrapped Steering Wheel, Media Hub (2 USB, AUX), Power 10-Way Driver Seat, Power Lumbar Adjust, Premium Cloth 40/20/40 Bench Seat, Quick Order Package 28Z Big Horn, Radio: Uconnect 4C w/8.4 Display, Rear 60/40 Split Folding Seat, Remote Start System, Remote USB Port - Charge Only, SiriusXM Satellite Radio, Steering Wheel Mounted Audio Controls, Underhood Lamp, USB Host Flip, Wheels: 18 x 8.0 Polished Aluminum, Winter Front Grille Cover. 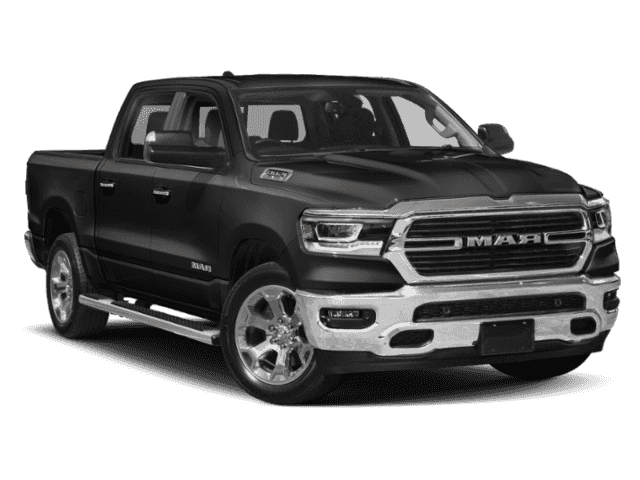 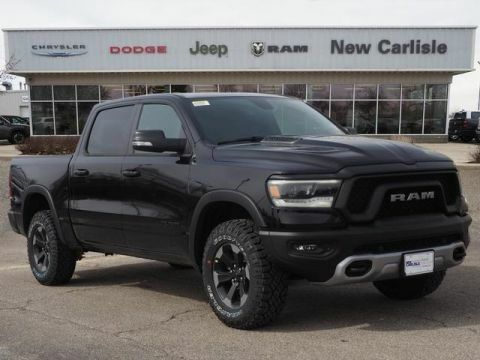 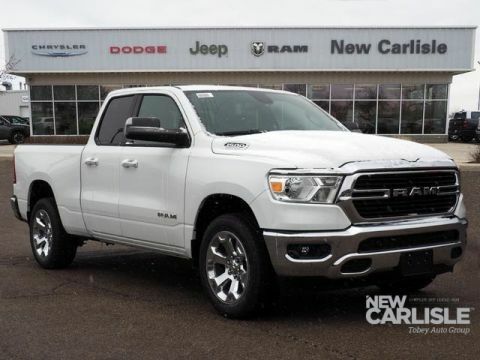 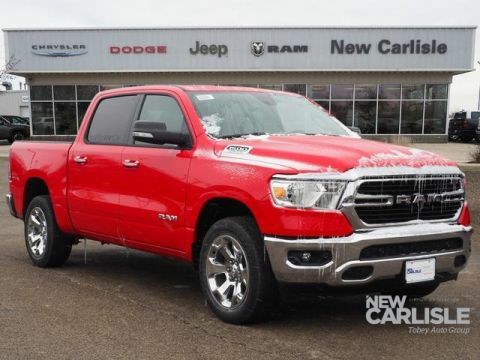 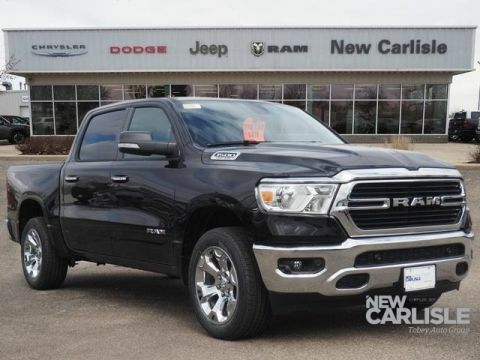 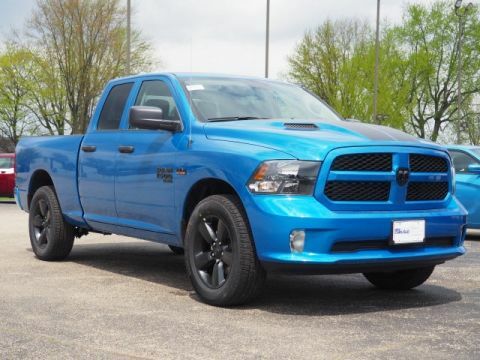 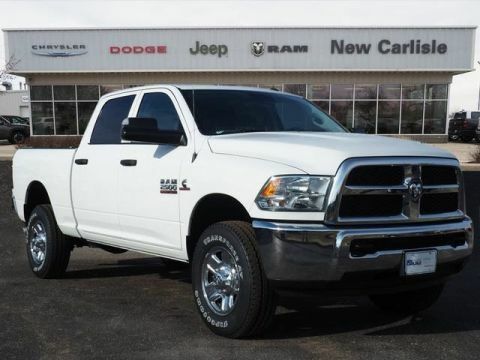 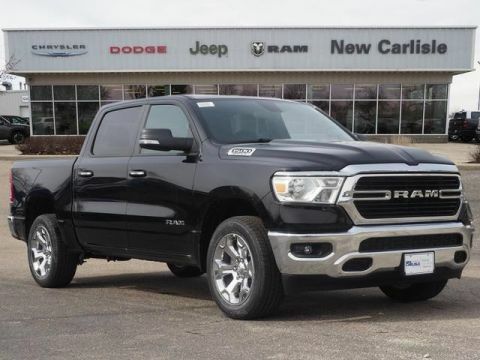 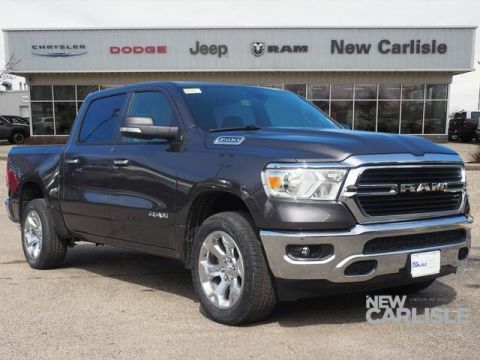 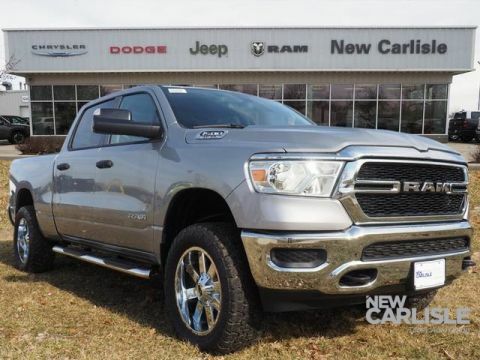 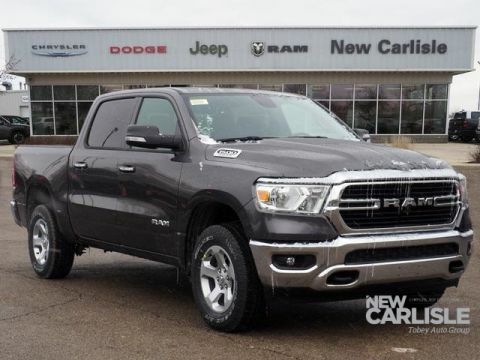 2019 Ram 1500 Limited 1500 Limited, 4D Crew Cab, HEMI 5.7L V8 Multi Displacement VVT, 8-Speed Automatic, 4WD, Diamond Black, Black Leather, Adaptive Cruise Control w/Stop, Advanced Brake Assist, Advanced Safety Group, Body-Colour Bumper Group, Body-Colour Front Bumper, Body-Colour Rear Bumper w/Step Pads, Forward Collision Warn w/Active Braking, Lane Departure Warning/Lane Keep Assist, LED Dome/Reading Lamp, LED Dual Dome Reading Lamps, Parallel/Perpendicular Park Assist, Power Dual-Pane Panoramic Sunroof, Quick Order Package 25M Limited, Wheels: 22 x 9 Polished Aluminum. 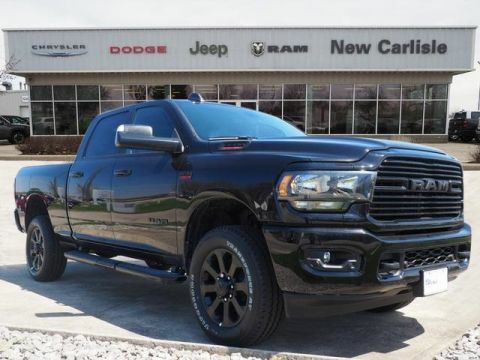 Our friendly professional sales staff is ready to help you find the car, truck, or SUV that best suits your driving needs. 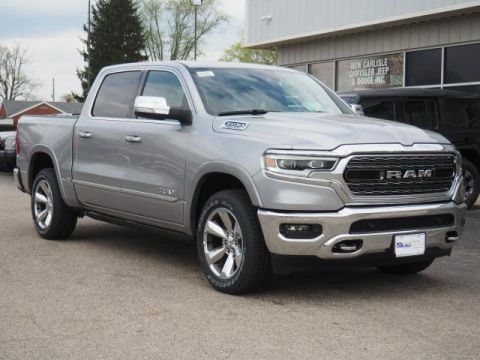 Be sure to keep an eye out for our new vehicle specials, and make the trip to our dealership when you’re ready to test drive the model of your choice! 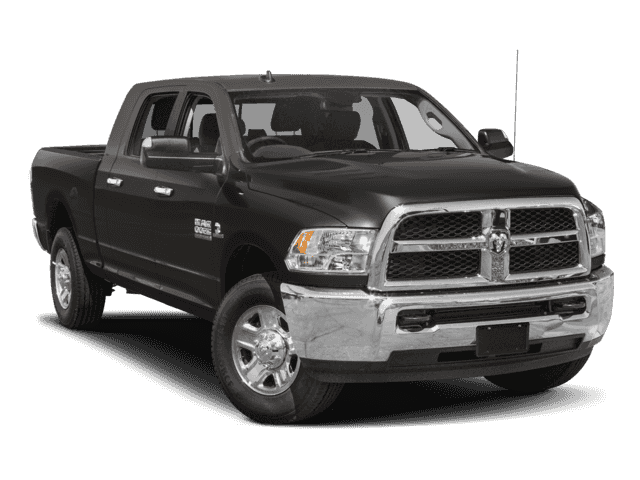 If you have any questions in the meantime, be sure to contact us. 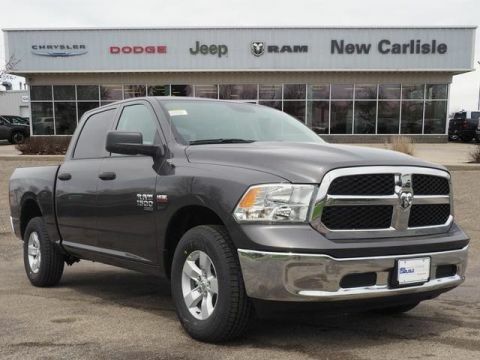 We’re conveniently located in New Carlisle and we want to be your first destination when you’re searching for a new Chrysler, Jeep, Dodge, or Ram.